Silence is a new and exciting portal in Guelph for adventurous and innovative sound events. Silence will include a monthly concert series, occasional improvisation sessions and handmade music nights and workshops. The music will cover a wide range of music, from noise and ambient, to installations and sound art, to computer music and handmade music, to post rock and psych, as well as promising a surplus of the unexpected. Sign up here to join the occasional mailing list. The first concert is on October 25th at 8:00 pm at the MacDonald Stewart Art Centre (358 Gordon St, Guelph). Cover is $10 or PWYC. A set by David Lee (double bass) with Gary Barwin (texts & reeds) and Ryan Barwin (pedal steel guitar). After graduating in English from UBC, David Lee spent many years in Toronto where he performed, toured and recorded as a double bassist and cellist with the Bill Smith Ensemble, Joe McPhee, Leo Smith and many others. Relocating to Pender Harbour, BC, David gained some of the experiences reflected in his new novel, Commander Zero (Tightrope Books 2012) and his award-winning Chainsaws: a History (Harbour Publishing 2006). His other books include Stopping Time: Paul Bley and the Transformation of Jazz (Véhicule Press 1999) and The Battle of the Five Spot: Ornette Coleman and the New York Jazz Field (The Mercury Press 2006). Currently, while pursuing a PhD in English & Theatre Studies at the University of Guelph, David lives with his family in Hamilton, Ontario. A set by Paul Watkins (DJ Techné), who is a Toronto-based turntable sound artist and poet. He is also a SSHRC-supported doctoral student in the University of Guelph’s School of English and Theatre Studies, whose work focuses on intersections between music and text as a border-crossing praxis. This performance is part of a recent and ongoing project entitled Dedications, where various phonogrooves (from jazz, hip-hop, and spoken word, to unusual recontextualized samples) are mélanged and collaged together to create polyvalent dedications to a host of musicians and poets. Hear William Blake, Sun Ra, John G. Diefenbaker, Charlie “Bird” Parker (with Ontario songbirds), John Coltrane, the poetry of The Four Horseman, among others, in new and exciting ways. The evening will conclude with a very special community improvisation project directed by ICASP Postdoctoral Fellow, Mark Laver. Mark will lead a group of young individuals passionate about the exploration of sound and imagery. For this performance they will be joined by a group of more experienced musicians who will respond in musical dialogue with the soundscape they create. A composer arranges sounds in a particular order, alternating between sound and silence. The result is a sound painting. Sound painting over a canvas of silence. 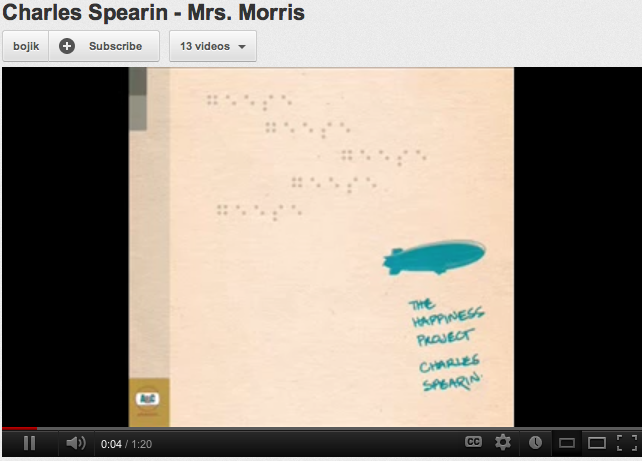 The range, shape, and quality of the sounds used to make up a sound painting are limitless. Any sound that exists in the universe can be used in a sound painting. -William Parker, from who owns music? 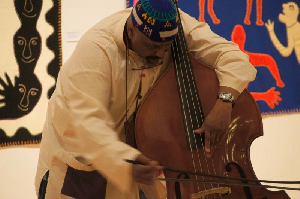 William Parker is an American free jazz double bassist, poet, composer, and an urban Zen monk. In March 2007, William Parker's book, who owns music?, was published by buddy’s knife jazzedition in Cologne, Germany. who owns music? assembles his political thoughts, poems, and musicological essays. In June 2011, Parker’s second book, Conversations, was published by Rogue Art. Parker has been a mainstay at the Guelph Jazz Festival, having performed at the festival numerous times. 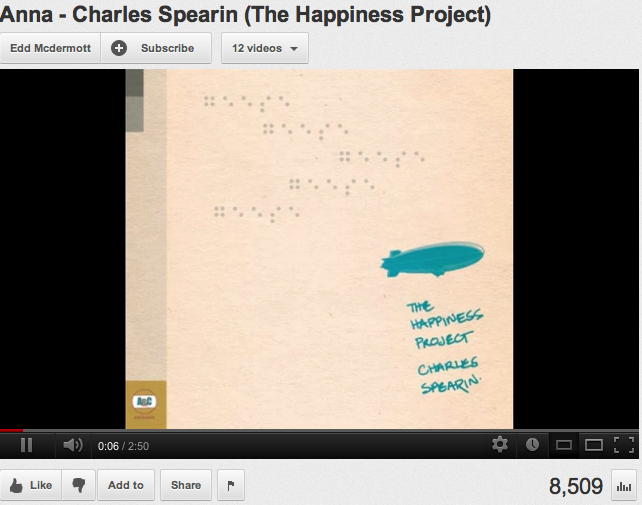 Charles Spearin is a musician from Toronto, Ontario. Currently touring as a multi-instrumentalist with Feist in support of her album Metals, Spearin is a founding member of Do Make Say Think, KC Accidental and Broken Social Scene and also contributes to Valley of the Giants. He is best known for composing and performing in very broad ranges of musical genres. 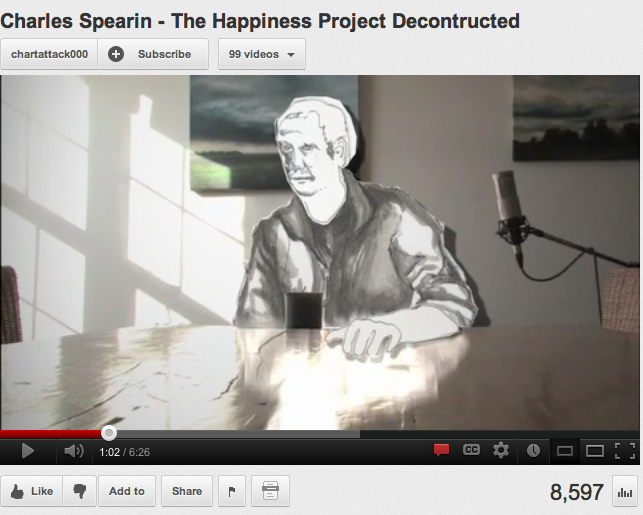 His solo album The Happiness Project was originally a concept album; Spearin recorded interviews that he conducted with his neighbours, folks of different ages and from diverse backgrounds, about their notions of happiness. The rhythms, pitches, and cadences of their recorded voices became the raw material, both musically and thematically, for a suite of extraordinary music that won the Juno for best jazz album in 2010. For the 2012 Guelph Jazz festival Spearin assembled a fantasitic ensemble to perform the compositions live, a group whose playing, like the music’s source material, has plenty to do with happiness, especially that of their listeners! The Happiness Project closed this year’s Guelph Jazz Festival and its highly original and uplifting material put a smile on festivalgoer faces as they stepped out of another great festival and into the world. 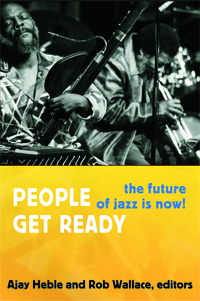 The first book, titled, People Get Ready: The Future of Jazz is Now, is coedited by Ajay Heble and Rob Wallace. Ajay Heble is the ICASP Project Director, and a Professor of English in the School of English and Theatre Studies at University of Guelph. Rob Wallace is a teacher, writer, and musician. Wallace holds a Ph.D. in English Literature from the University of California, Santa Barbara and is the author of Improvisation and the Making of American Literary Modernism. In People Get Ready, musicians, scholars, and journalists write about jazz since 1965, the year that Curtis Mayfield composed the famous civil-rights anthem that gives this collection its title. The second book, titled, The Fierce Urgency of Now: Improvisation, Rights, and the Ethics of Co-creation, is authored by Daniel Fischlin, Ajay Heble, and George Lipsitz. Daniel Fischlin is the ICASP Books Coordinator and Project Co-Investigator, as well as a Professor and University Research Chair in the School of English and Theatre Studies at the University of Guelph in Ontario. Most recently, he is coauthor (with Martha Nandorfy) of The Community of Rights – The Rights of Community (Oxford UP). George Lipsitz is Professor in the Department of Black Studies at the University of California, Santa Barbara. He is the author of many books, including How Racism Takes Place and Footsteps in the Dark: The Hidden Histories of Popular Music. 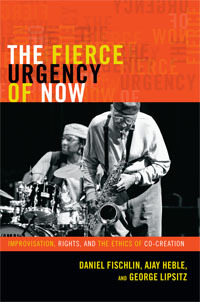 The Fierce Urgency of Now links musical improvisation to struggles for social change, focusing on the connections between the improvisation associated with jazz and the dynamics of human rights struggles and discourses. Review of the Festival and Colloquium by Ted Harms in All About Jazz. Article about ICASP graduate researcher David Lee (which mentions ICASP researcher Paul Watkins) in the Hamilton paper, The Spec. "Guelph Jazz Festival @ “19″ & Going Strong," by Paul J. Youngman, in Latin Jazz Network. Review of the Festival on page 13 in the latest edition of New York City Jazz Record. Individual concert reviews in Ottawa Jazz Scene on GJF's Coltrane theme, Larry Ochs, Colin Stetson, Ben Grossman, and Spearin’s The Happiness Project. Writer, poet, and colloquium presenter, Aldon Lynn Nielsen also blogged about the colloquium/festival. Any others we should know about? Send them our way.